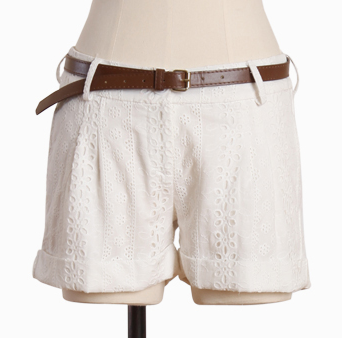 I know everyone is now tres excited for fall fashion, but these summery eyelet shorts are super cute and affordable! Buy at Ruche for $40. Hmm, I wonder how to wear them in fall, think they'd go with tights? ?